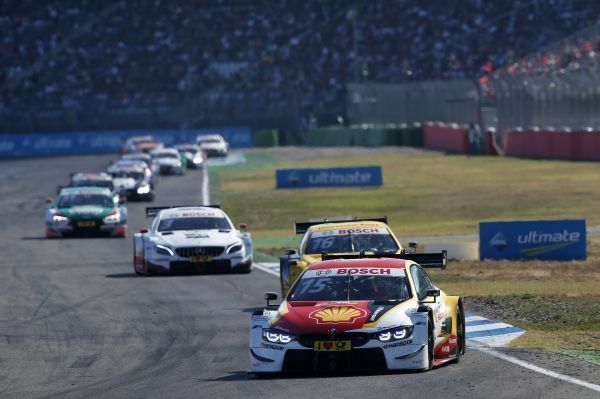 Saturday’s race at the Hockenheimring (GER) saw Timo Glock (GER, DEUTSCHE POST BMW M4 DTM) return to the strong form he showed at the season-opener at the same venue. 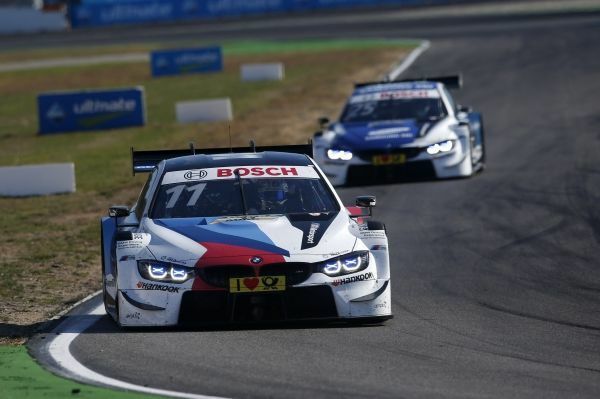 The German came home third to claim a podium result in the penultimate race of the 2018 DTM season. This was BMW’s 15th podium of the season. Bruno Spengler (CAN, BMW Bank M4 DTM) finished ninth to score two points. Philipp Eng (AUT, SAMSUNG BMW M4 DTM) and Joel Eriksson (SWE, BMW M4 DTM) had to settle for 12th and 15th place at the end of an eventful race. Marco Wittmann (GER, BMW Driving Experience M4 DTM) and Augusto Farfus (BRA, Shell BMW M4 DTM) failed to finish. René Rast (GER, Audi) took the race win. “It was a very eventful race and we can be happy with the third place. We started from fourth, eighth and twelfth. Timo Glock cut through the field really well. I feel sorry for Augusto Farfus and Marco Wittmann, who were unable to finish the race. You could see that there was a lot going on out on the track. “Before the race even started, Timo said that he would work his way forward, because we had performed well here from the word go. Marco and Augusto also showed that we were basically very quick. Marco was superb in free practice. “In short, that was a really bad day for me. The repairs needed after my mistake in qualifying cost us a lot of time. That meant we were unable to take part in qualifying. We then actually paced ourselves very well in the race. “Hockenheim is my living room. Every race here is a real cracker. The circuit really suits our cars. It is ideal for putting on a good show – and we did that again today. I was following the battle between René Rast and Gary Paffett on the big screens whenever I passed them, and was just thinking: ‘Hey guys, wait for me. “We simply have to qualify further up the grid tomorrow than we did today. Philipp Eng’s five-place grid penalty obviously did not help us today. He was actually on course for a points finish in the end, but lost a few places after a collision. Joel Eriksson fell back during the restart after the safety car period.